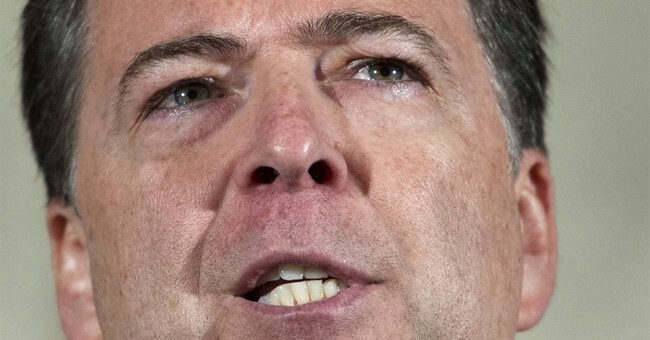 FBI Director James Comey's remarks regarding then-Secretary of State Hillary Clinton being "extremely careless" in the "handling of very sensitive, highly classified information," along with his conclusion that "any reasonable person in Secretary Clinton's position, or in the position of those government employees with whom she was corresponding about these matters, should have known that an unclassified system was no place for that conversation," have the potential to change voters' view of Clinton's intelligence and readiness to lead the nation. In short, to change the race for president. While the Clinton camp is celebrating that Comey did not recommend criminal charges, the fact remains that the FBI findings are dangerous and damaging for Clinton. A lackluster candidate who is known for her intelligence, work ethic and persistence, Clinton's handling of classified information was determined by the FBI to be careless and not very smart. As secretary of state, Clinton should have handled the security and secrecy of U.S. classified information as her top concern. Instead, she appears to have been more focused on safeguarding her personal privacy. If Clinton had simply been as thoughtful as any other reasonable person in her position, she would have used a government email address and a government server for Department of State communications. Thousands of everyday Americans follow this structure, and they don't deal with national secrets. The fact that she used a personal email address and a personal server could lead one to believe that she puts herself and her privacy above the safety and security of the United States. Secondly, Clinton's use of a private email address and server resulted in expensive investigations, paid for by the U.S. government. Comey noted this week that they included thousands of hours of investigation work. Since Clinton did not do what any reasonable person in her position would have done and was careless, at best, it seems as though there is a need for her to reimburse the government for time and effort that would not have spent if she had been careful and reasonable. How many classified emails were sent from her personal account? "From the group of 30,000 emails returned to the State Department, 110 emails in 52 email chains have been determined by the owning agency to contain classified information at the time they were sent or received," Comey said. "Eight of those chains contained information that was Top Secret at the time they were sent; 36 chains contained Secret information at the time; and eight contained Confidential information, which is the lowest level of classification." He added, "the FBI also discovered several thousand work-related emails that were not in the group of 30,000 that were returned by Secretary Clinton to State in 2014 ... three of those were classified at the time they were sent or received, one at the Secret level and two at the Confidential level." While Comey did not recommend criminal prosecution, he noted that people in similar circumstances shown to be careless or to mishandle classified information "are often subject to security or administrative sanctions." If Clinton were applying for a job other than the one she is seeking, her potential future employers would likely consider her history of carelessness in weighing whether to make her an offer. Comey's remarks come at a time when the presidential race is tight and appears to be about which candidate voters dislike the least. According to Quinnipiac University's most recent presidential poll, taken before the FBI issued its report, Clinton was at 42 percent versus Republican presumptive nominee Donald Trump's 40 percent. According to the news release, the race was, "too close to call -- as American voters say neither candidate would be a good president and that the campaign has increased hatred and prejudice in the nation." (National poll June 21 -- 27, 1,610 registered voters, +/- 2.4 points). When asked about their opinion of the candidates, regardless of how they were planning to vote, and their character attributes, potential voters said they considered Trump to be more honest and trustworthy than Clinton, and viewed him as a stronger leader than Clinton. Asked who is better prepared to be president, those polled cited Clinton (58 percent versus 33 percent of total voters, with independent voters viewing Clinton as more prepared by 54 percent to 34 percent). When asked, who "is more intelligent: Hillary Clinton or Donald Trump," those polled again cited Clinton (53 percent versus 33 percent of total voters, with independent voters viewing Clinton as more intelligent 48 percent to 33 percent). Comey's comments regarding Clinton's carelessness certainly puts these two areas into play. Clinton's strong point has been her thoughtfulness and intelligence -- the two attributes that the FBI investigation has called into question.